It looks like after rebounding several times from level of 50% (1.3790), Eurodollar is reversing upwards. I entered the market and opened buy order with stop placed at local minimum. 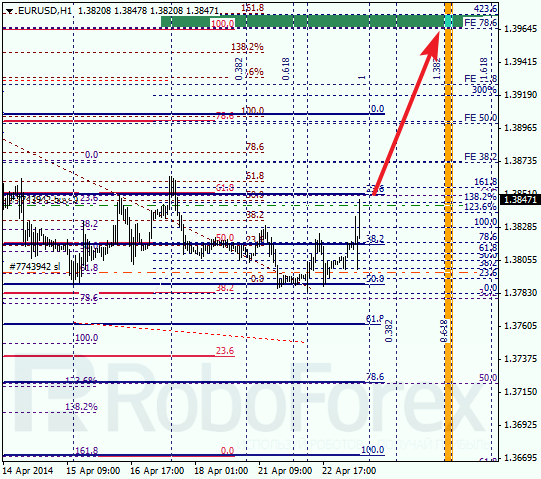 Target for the next several days is close to the group of upper fibo levels at 1.3965 – 1.3975. 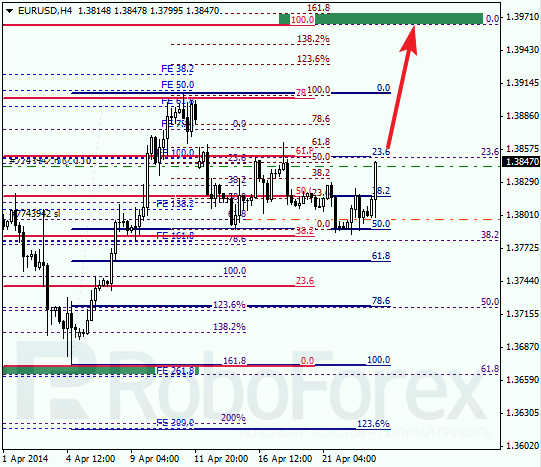 As we can see at H1 chart, there are several additional fibo levels in upper target area. According to analysis of temporary fibo-zones, predicted targets may be reached until the end of this week. Later I’m planning to increase my long positions during correction. After reaching main targets of correction, Franc started falling down again. I opened sell order with stop placed near latest maximum. 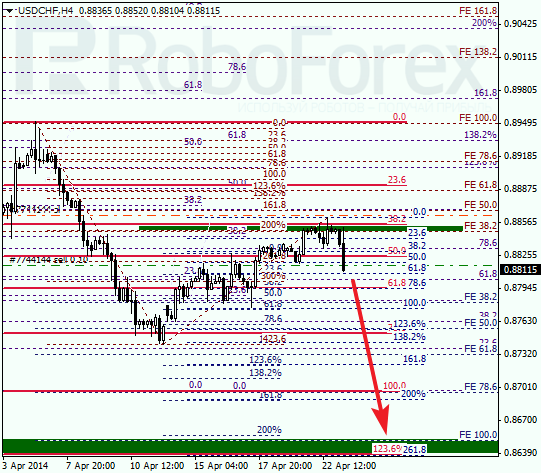 Target is near the group of lower fibo levels at 0.8650 – 0.8640. As we can see at H1 chart, bears reversed right inside temporary fibo-zone. Most likely, price will start new correction from intermediate fibo level (0.8785). During this correction, I’m planning to increase my position.